Why glass is a liquid? Ancient glass is isotropic, inorganic substance, which first appeared in ancient Egypt and the countries of Asia. However, no matter how long and interesting his story is, not all know about its varieties, in particular of mineral glass. Mineral glass is molten quartz sand of natural origin with various additives. The finished glass has strength, resistance to radiations, excellent optical qualities and is extremely resistant to abrasion. Besides, his big plus is that it significantly reduces the UV flux. Form mineral crystals does not change with time. Of all known materials for the manufacture of lenses in mineral glass is much easier handled due to its own strength. Besides his own strength to provide for visual perception, free from deformations. This means that the lens provides its own strength points, not just the frame. In addition to the optical industry, mineral glass is widely used in the manufacture of watches. Dials 90% of all watches are covered by a transparent protecting this glass. Perhaps that is why it is called "conventional" because of its widespread distribution. Primarily this is because the load from its permissible value glass at best will remain intact, and at worst just crashes. However, there are special technologies of surface treatment of glass, which increase its strength and make even invulnerable to scratches. Mineral glass, thanks to its easy handling and large reserves of raw materials has a relatively low cost. Therefore, it is produced in large quantities and of all sizes. Children, drivers and active leisure people glasses of mineral glass to wear contraindicated, as in a strong blow it can break into tiny shards and cause damage to the lens of the eye. 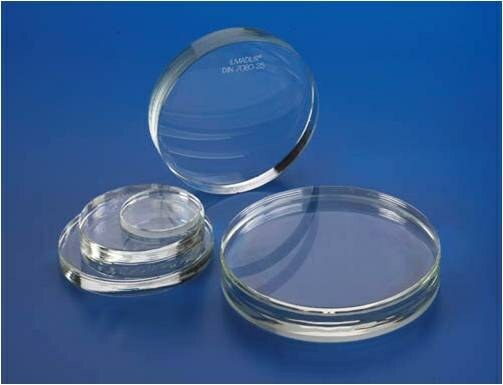 In addition, the glass has a high weight, which can lead to discomfort when wearing the lenses of this material. Natural sapphire crystal water droplet does not spread on the surface and rolls like a ball of mercury. Another difference is the sapphire glass is heated more slowly than mineral. If the clock face is the inscription "Cristal", it means that their glass is made from minerals. The inscription "Hardlex" indicates the origin of mineral glass, but the hardness of this composition is higher due to special handling. The inscription "Sapflex" says that for the manufacture of these hours were used mineral glass with a thin layer of sapphire. How to differentiate a sapphire crystal from a mineral, if it has no label? In the first place, the characteristics of the glass must match the device class in which it's installed. Shockproof waterproof watches are most often equipped with a sapphire crystal. Watch for everyday wear and sports are equipped, as a rule, mineral and plastic glasses, at least the sapphire crystal. Do not expect that the budget device will be installed expensive sapphire glass. Can be applied to the glass, watches the drop of water. Tilting in different directions watches with mineral glass, you notice that the water droplet spreads, leaving a trail of so-called tail. 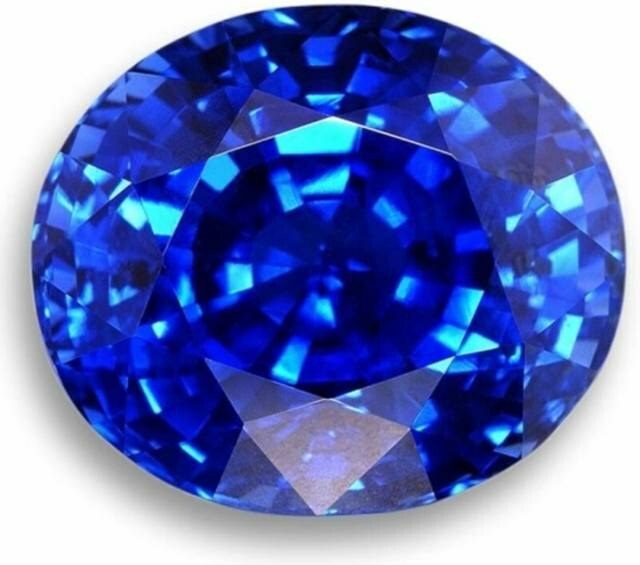 Like a drop of water does not occur on the sapphire crystal that even when tilted hours in the water drop does not spread on the surface of the glass and rides on it like a mercury ball without a tail. If the experiment is performed with sapphire crystal with antiblikom, a drop of water will remain in the same place and put it, even when you turn the device glass down. The complexity of the experiment is to choose the right droplet size. The second method of verification is not always possible when you purchase products, for example, to try to scratch the glass. Sapphire does not scratch, but it breaks easily. In terms of the store, you can check the glass for glare mineral gives them no sapphire. If the watch features anti-reflective glass, find out it's sapphire or mineral, it is not possible, as both seem invisible, that is, not reflect light. And that, and the other cover has a bluish tint. The surest and most accurate way to distinguish one glass from another is in turns to bring each to the tip of the nose and hold for a few seconds. The colder material will be sapphire, as it heats up more slowly than mineral. If both will heat up evenly, here we can confidently assert that both mineral glass. However, this experiment can be performed with two devices, the one of whom it is known that it is equipped with coated mineral glass.